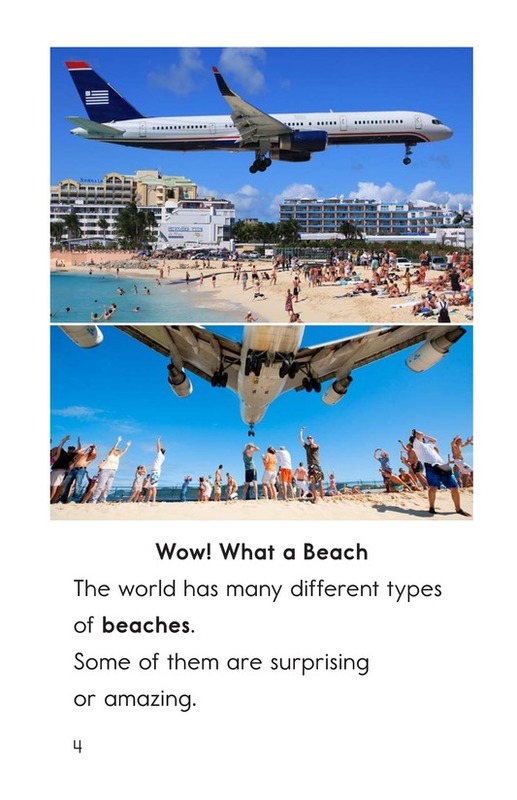 The world is full of beaches, but they are not all alike. 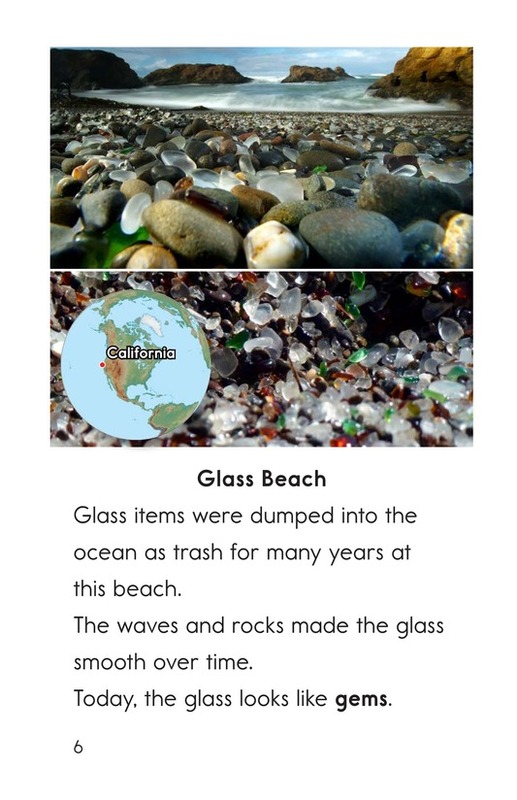 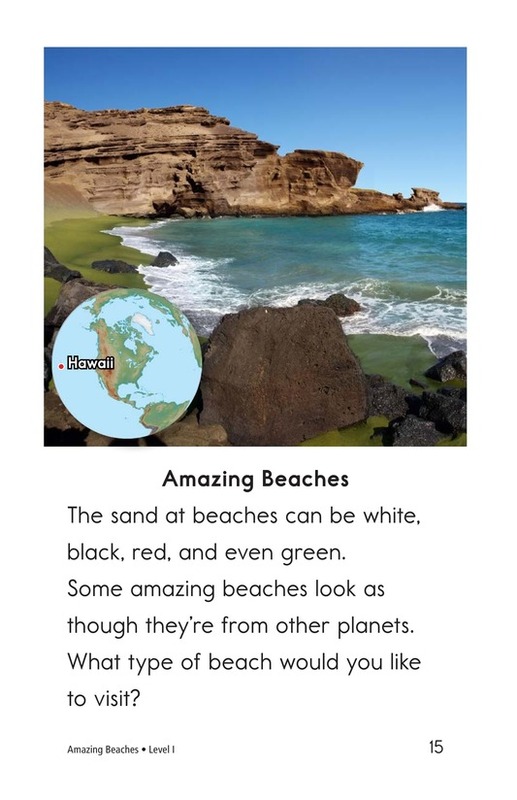 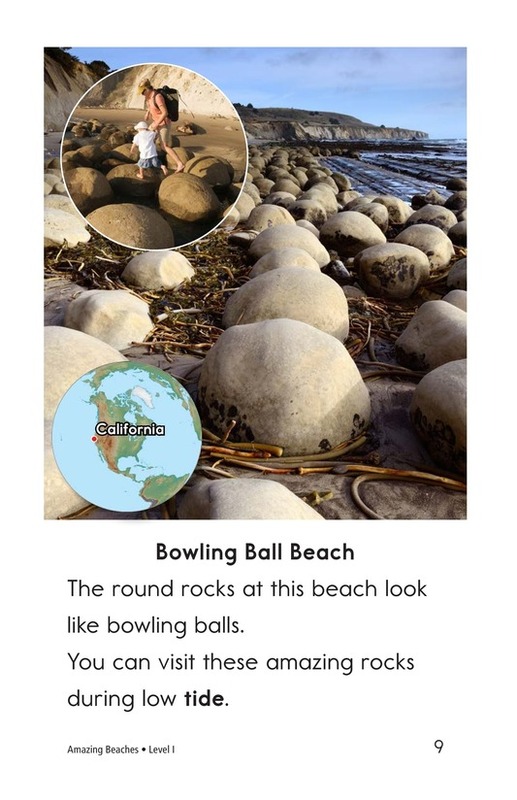 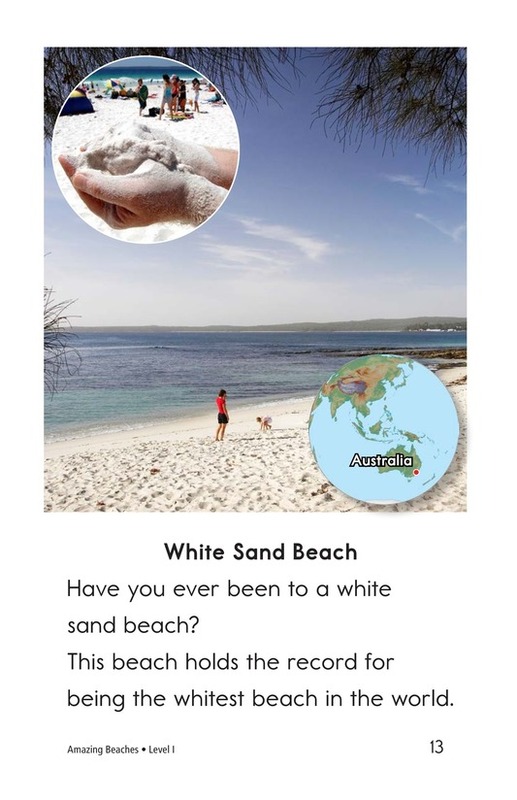 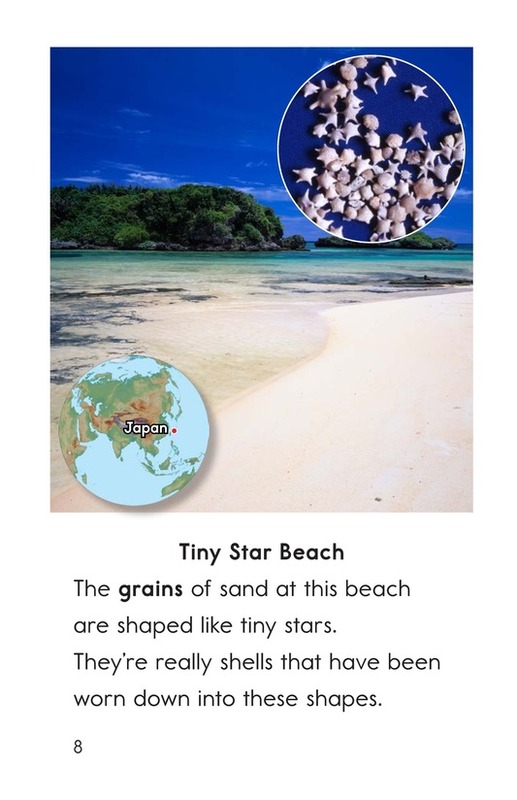 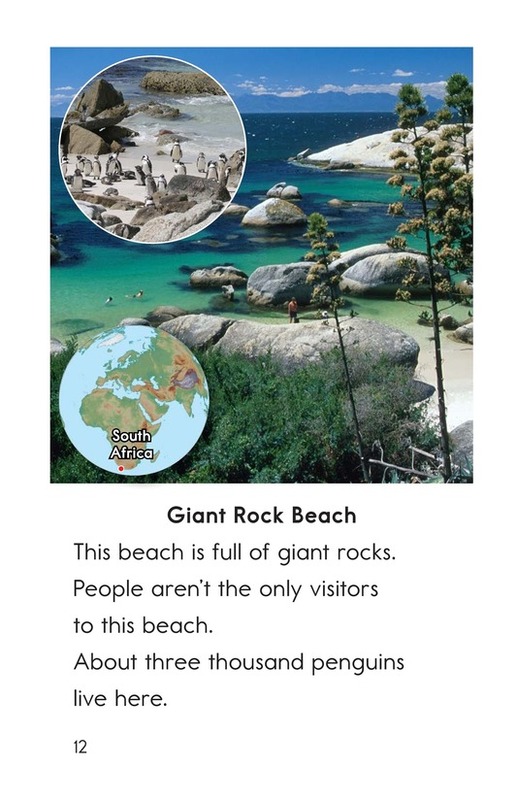 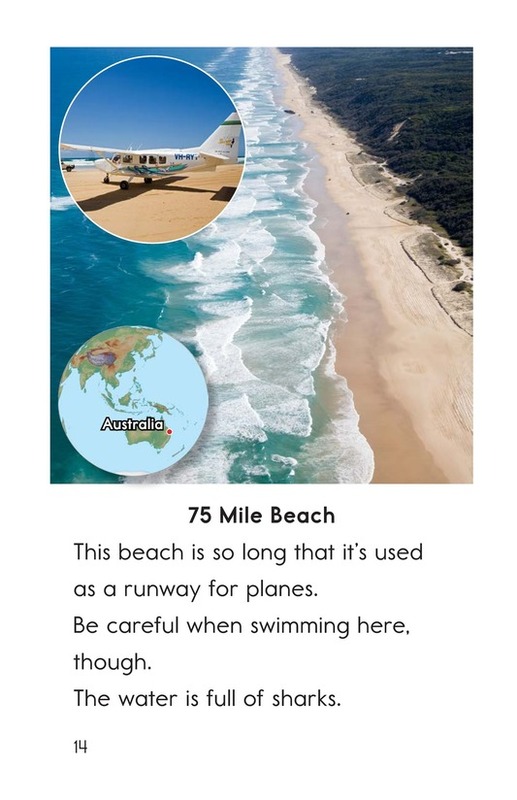 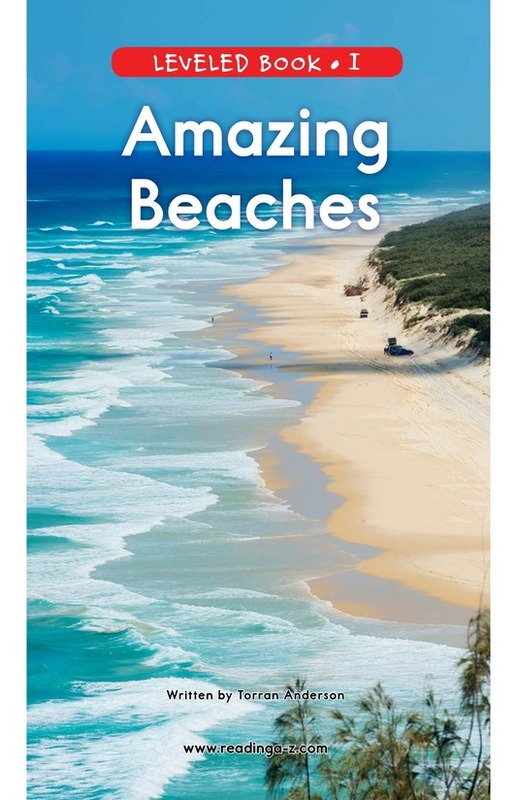 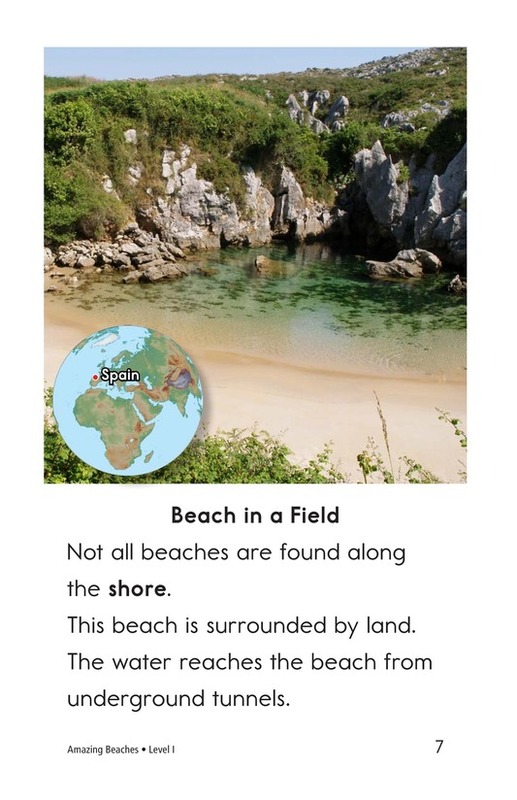 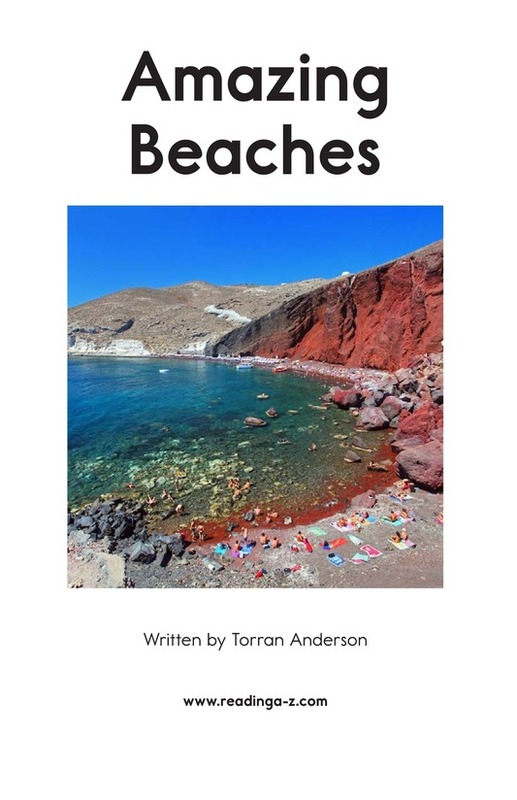 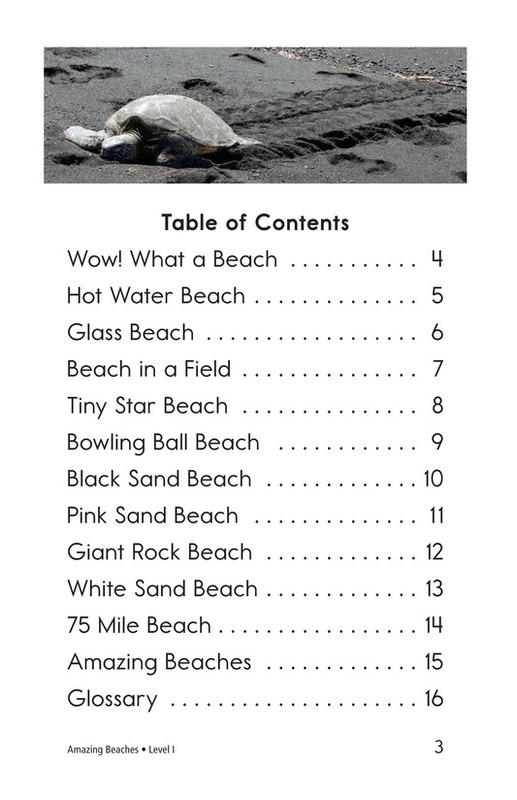 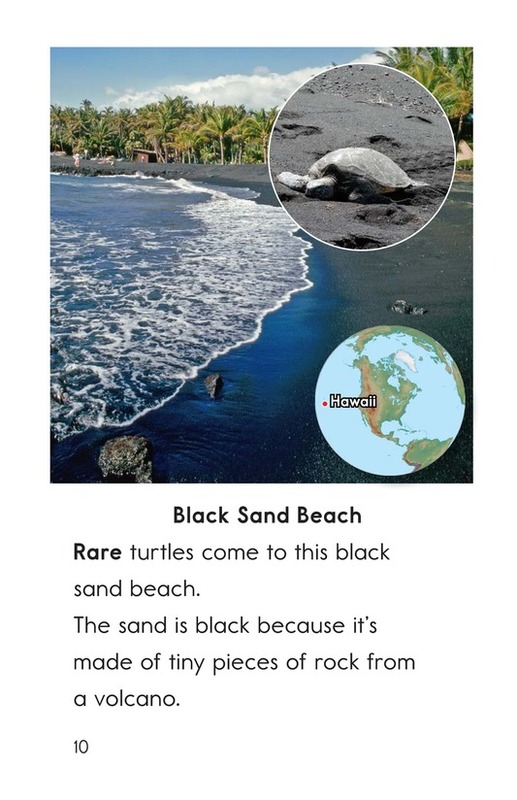 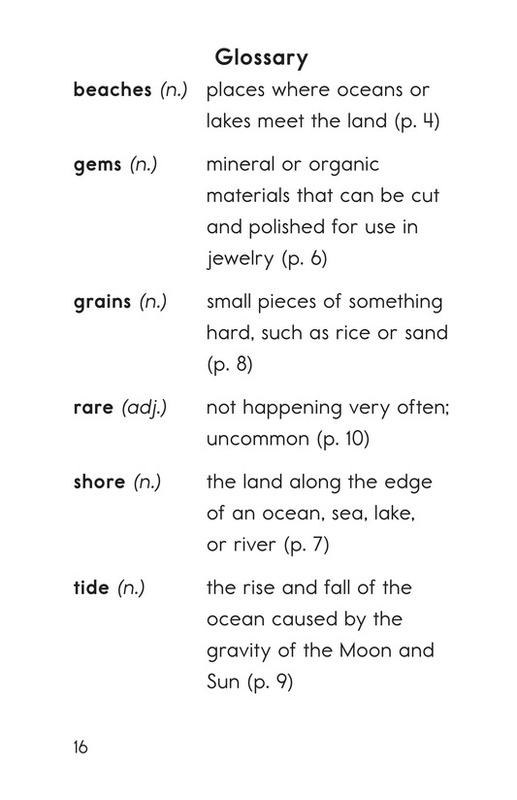 In Amazing Beaches, students will read about beautiful beaches that have special features, such as pink sand or a shore covered in smooth glass pebbles. 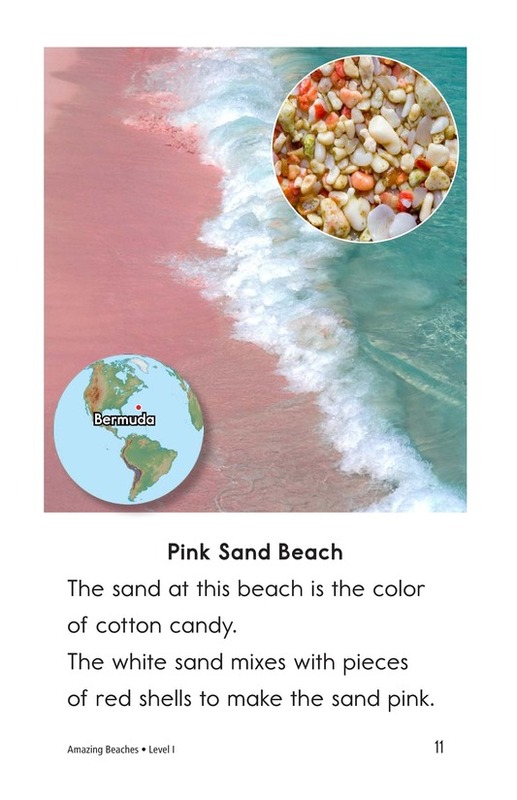 Gorgeous photographs illustrate the information in the text, and simple world maps show the location of each highlighted beach. 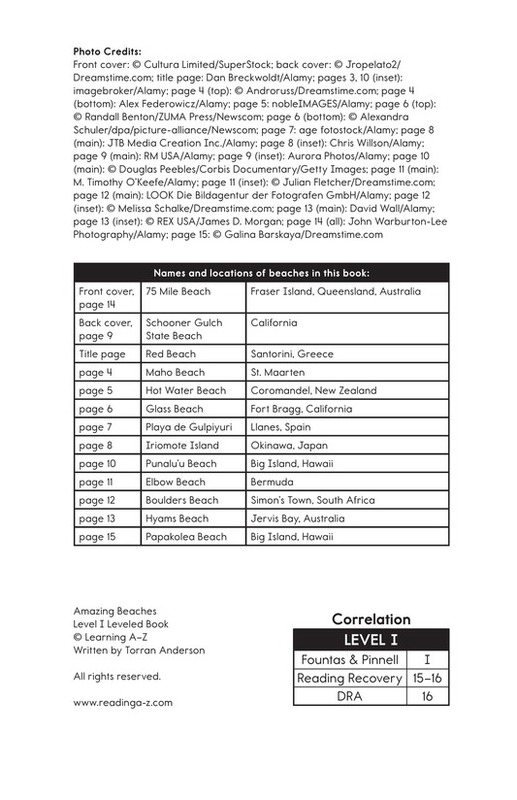 Each small section is only one page long, and the sentence complexity is adjusted for emergent readers.